Show the world how awesome you are with this fun notebook by Paul Thurlby. Comes with a mixture of lined and graph paper, perfect for doodling in. 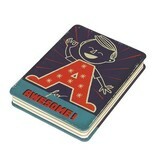 Jot it all down in an 'A for Awesome' notebook. 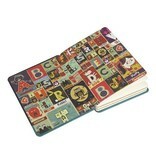 Includes cream lined pages and brown kraft pages too.